What is the importance of in-store marketing if the majority of people have a list of items before they enter the store? 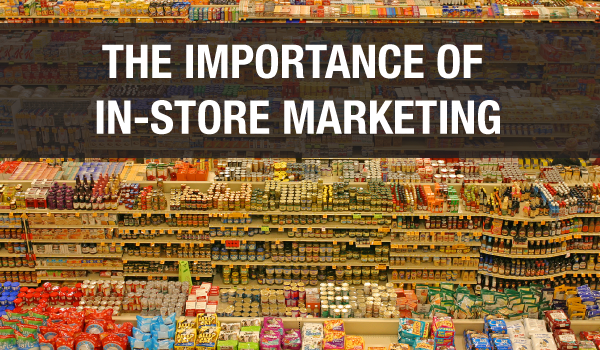 Did you know that 70 percent of consumers make their final buying decisions in-store? Now think about it, you enter the grocery store with a list in your hands (eggs, milk, cereal etc. ); are you going to buy the exact items on your list if you come across a new product that looks interesting? How about if you come across a display of a different cereal brand that is on sale? Personally, I would look further into the sale and spend time learning if it had something my current cereal didn’t. According to a UC Berkley study, ‘customers are six times more likely to buy a product if a POP display highlights it.’ It is important that your display looks good and is informative. Do you use organic ingredients? Do you have eco-initiatives? These are the types of things you would want to add to your displays. Myriad statistics reveal that ‘more than 70 percent of decisions about whether to buy something are made at the point of purchase.’ This refers to when the consumer is waiting at the check-out. Counter displays provide one of the best selling tools to bored consumers standing in line. It gives them the chance to pick up your product and add it to their purchases. ibox Packaging offers a wide variety of stock point of purchase display options as well as fully customized designs. Contact us today to discuss your options today!